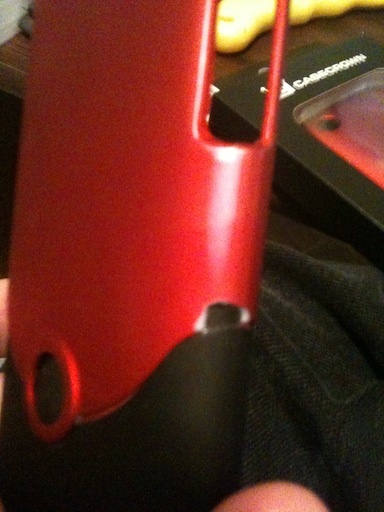 That chip in the case of my iFrog case I bought at the AT&T store appeared not to long after getting the case. The same thing happened to my wife’s case. I’m very disappointed in the quality. I brought a Casecrown case, same color, and so far I’ve been happy with it. I won’t be buying from iFrog again.